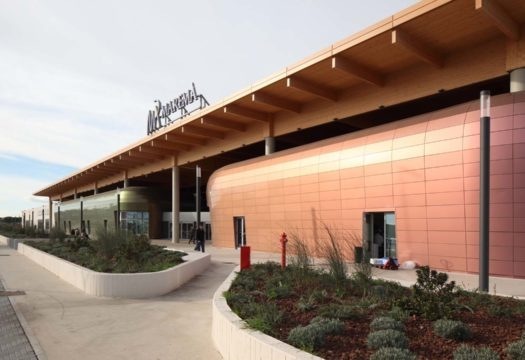 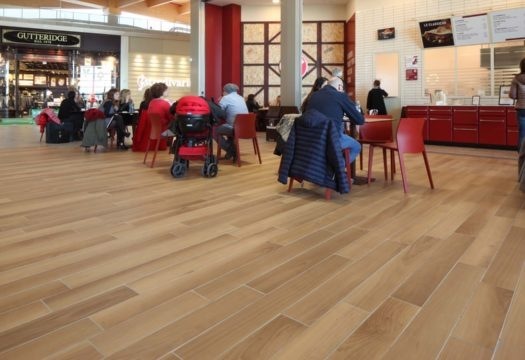 A mixture of colors and materic inspirations for the indoor spaces of Centro Commerciale Maremà, a center for grocery shopping, apparel and the home, in the heart of Maremma. 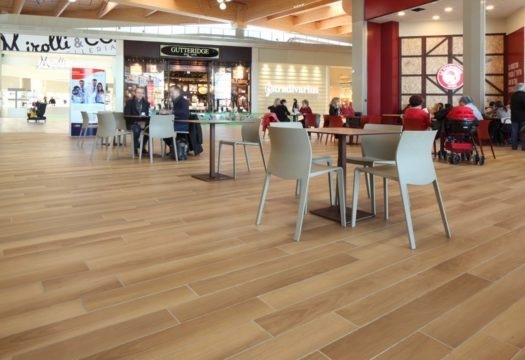 Composed of an Ipercoop and 45 shops, Maremà stands out for its strategic location and design quality. 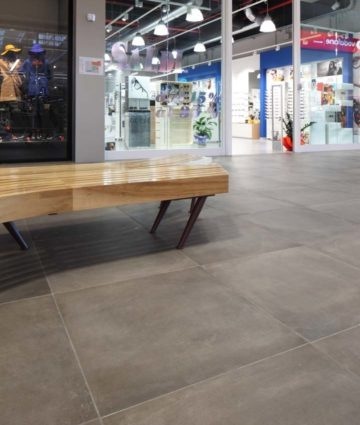 Ceramiche Caesar has contributed to the creation of the facility by supplying the porcelain stoneware of the One and Life collections, ideal materials to create the floors of some of the spaces with style and functional quality. 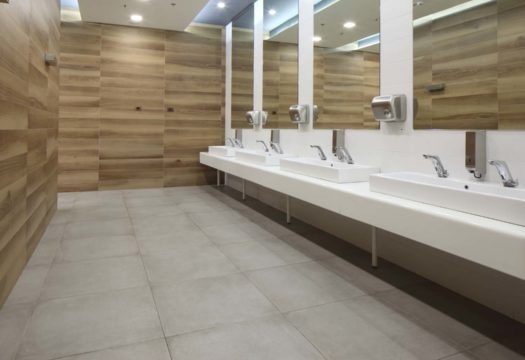 In particular, Life, the design series based on the simplicity of wood reinterpreted in ceramics, has been used for the restrooms in the Walnut color, as well as the floors in the restaurant, in the Oak tone. 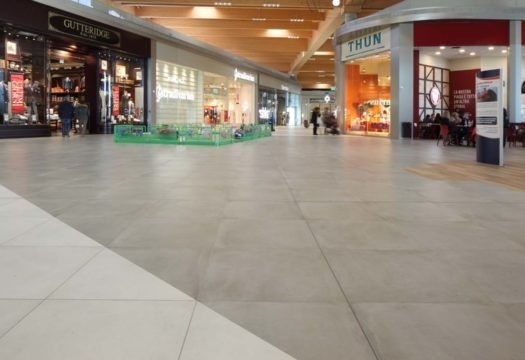 The One collection, a meeting point between the tradition of earthenware and the modernity of concrete, enhances the floors in the common areas, such as the corridors and the spaces outside the shops. 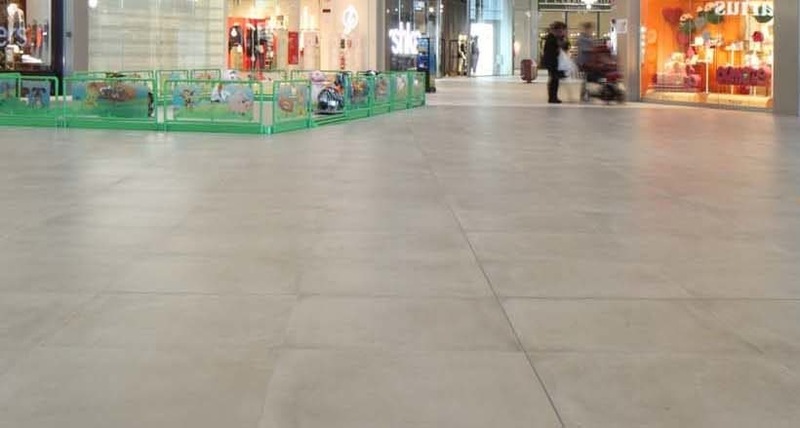 The alternation of neutral Cement, Rope and Gesso colors adds dynamism and compositional variety to the spaces.